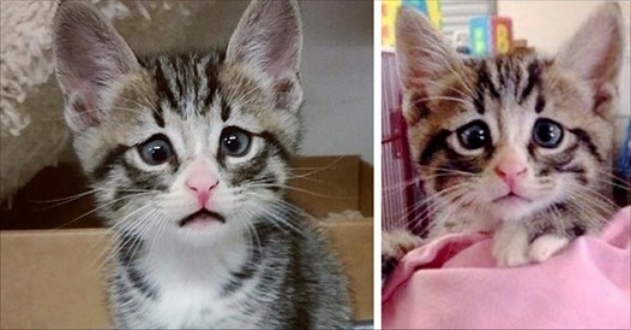 Meet Bum, also known as “Worried Eyes.” He was brought to the shelter when he was just four weeks old, and immediately stole everyone’s heart with his worried expression. 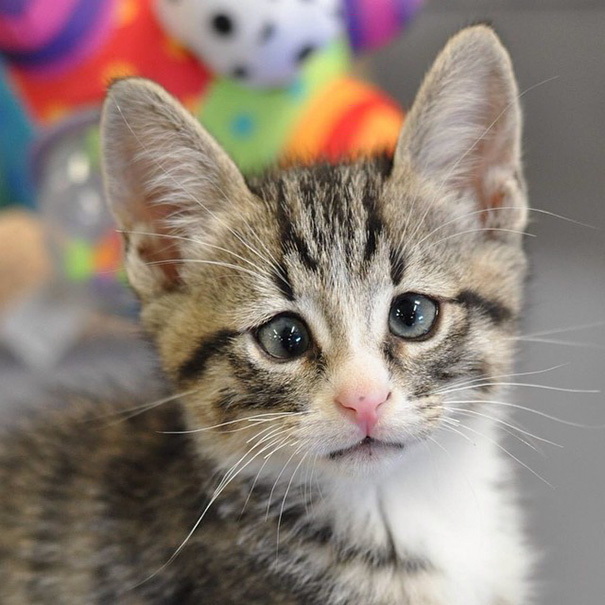 But there’s no need for you to worry—this cross-eyed tabby has already found himself a home! Bum was brought into the San Diego Humane Society along with his 4 siblings. 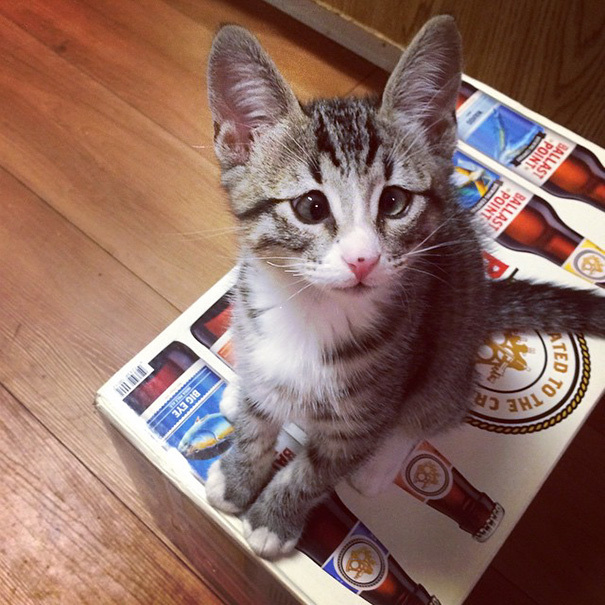 He looks a bit different from his littermates. 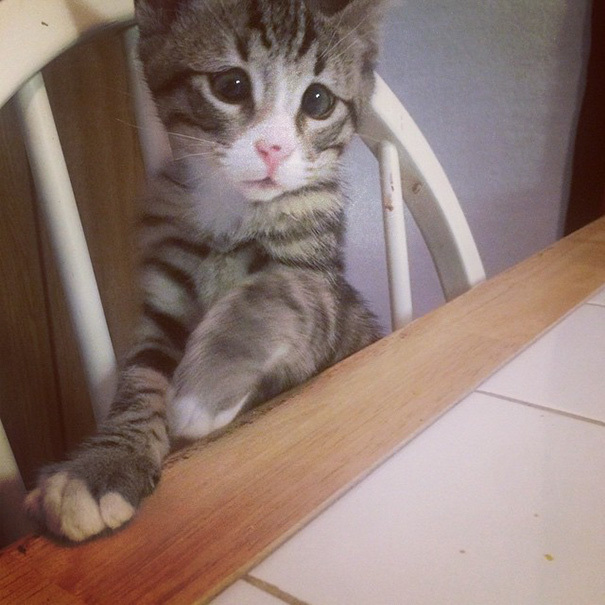 His eyes are crossed in a way that makes him look forever worried, but the little tabby boy is as charming and happy as he can be. 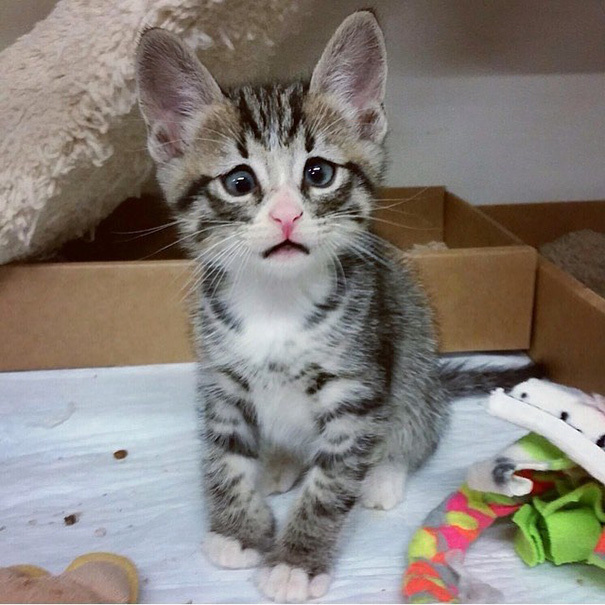 Responses to "Kitten Born With Permanently Worried-Looking Eyes"